Marie - Rose - high-quality porcelain collection in clear white tone or with decoration of your choice. 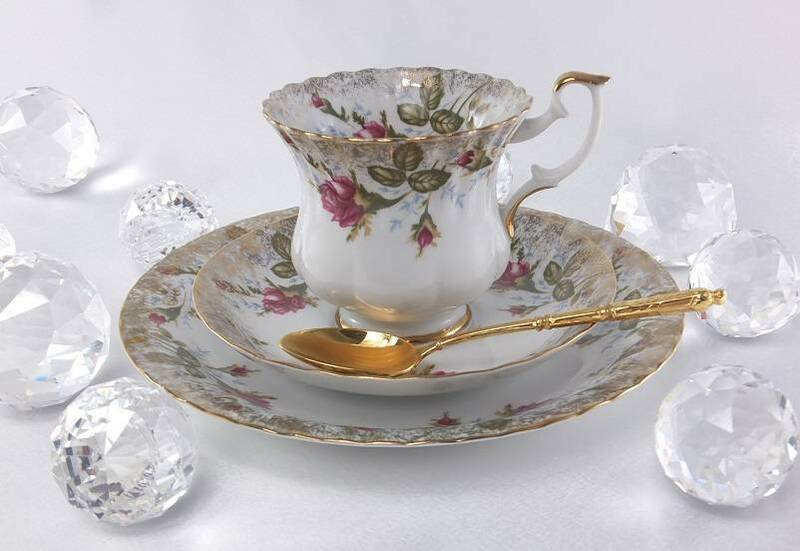 Who does not recognize today this characteristic cup with the typical English Rosendekor? A wide range of partial elements (plates, cups, jugs, sugar bowls, creamer, bowls, platters, warmer, napkin rings etc) allows you to arrange a dinner party for a large family, as well as an exclusive meeting between the business partners in your company. The classic variant in pure white shines as well at a corporate reception or business meeting. The desired porcelain line can be put together as required from individual elements, as well as a classic lunch and coffee set for 12 people. The porcelain from the collection is dishwasher safe. The personalization of your order / decoration is feasible.